Apple will begin selling the second generation iPad in the United States via the online store at 1 am PT (12 noon local Saudi time) on Friday March 11th. 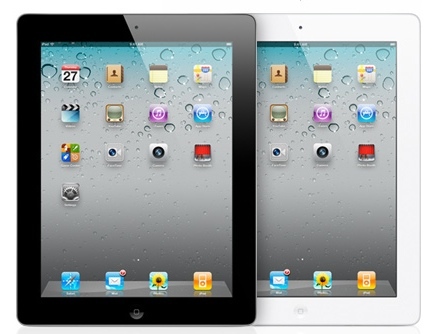 iPad 2 will be available in 2 colors (black and white), with 3 capacities (16GB, 32GB and 64GB) and Wi-Fi only or Wi-Fi + 3G models (3G models have 2 variations: a GSM model that works world wide and unlocked and a CDMA version limited to Verizon’s network in the US). The iPad 2 will be sold at retailers in the US 5pm “local time” (starting on 1 am Saudi time on Saturday). Do you know when will an OFFICAL iPad 2 pop in Saudi Arabia, jeddah to be specific ;P ? so whats the deal with Apple not shipping to Forward-Shipping companies? they know its a legal business !! I just ordered my iPad2 requesting it to be shipped to my forwarding address in NY. The only problem now is waiting for 4-5 weeks before it get shipped.